Maddie's Fund® has approved a new $200,000 grant to spay and neuter dogs and cats belonging to low-income residents in Northern Nevada. Officially launched on February 19th , Maddie's® Spay/Neuter Project in Nevada provides low cost surgeries to Medicaid or Nevada Check-Up recipients living in Carson City, Churchill, Douglas, Elko Lyon, or Washoe Counties. The project will operate for eighteen months. It is anticipated that 2,100 surgeries will be performed within the first year alone. Twenty-five participating veterinary hospitals have agreed to perform surgeries for a fixed cost to the client of $20 per dog and $10 per cat. Maddie's Fund will reimburse the veterinarians for remaining costs, ranging from $50 for cat neuters to $120 for dog spays. Regardless of their status as program service providers, veterinarians throughout the six counties have also been invited to provide confidential baseline data for any spay/neuter surgeries they have performed over a one year period from July 2006 to June 2007. Each clinic that provides data will receive a $200 payment from Maddie's Fund. 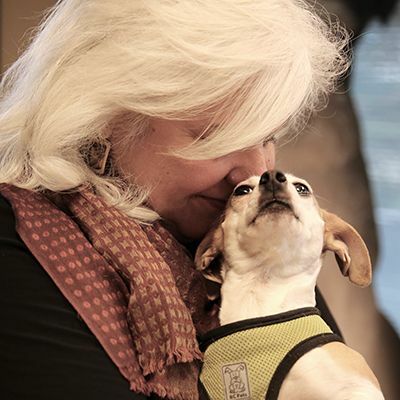 Ten animal welfare organizations, including the animal control agencies from all six counties and four adoption guarantee shelters in Washoe County, have agreed to provide shelter intake and disposition data using Asilomar Accords definitions and tables. Data collection started with Calendar Year 2007 and will continue throughout the project. Shelters providing data will each receive between $10,000 and $20,000 from Maddie's Fund. To supplement the baseline data received from participating shelters and veterinarians, a scientifically designed public survey on spay/neuter attitudes is being conducted by the University of Nevada's Center for Research Design and Analysis. "The in depth data collection and academic survey adds a whole new dimension to this project and really sets it apart from spay/neuter projects we've done before," said Maddie's Fund President Rich Avanzino. "We're really looking forward to tabulating the results and getting a clear picture of the impact of spay/neuter on shelter intake." Maddie's Spay/Neuter Project in Nevada is administered by the SPCA of Northern Nevada.